This guideline has been written by our practitioner Sarah Beesley to provide a comprehensive approach. The best result is gained when the whole guideline is followed. The following information is not intended to diagnose any condition or to replace the advice of your doctor. An ulcer is an area of tissue that will not heal in the usual way. This is often due to a lack of the nutrients that the body requires to knit the tissue back together, poor circulation (which means the nutrients don’t get to where they are needed), and the presence of a secondary infection which sets in because the skin barrier has been broken. The most common secondary infections are bacterial and some of these can antibiotic resistant forms. To heal, your body needs nutrients and the ability to get them into the tissue. It may also need help in removing infection from the site. Ulcers are most common in the elderly or in Diabetic patients, both of which usually have circulation issues and weak digestion and as a result, are often low in the nutrients the body needs to heal. We have had excellent success (around a 90% success rate) using Purely Earth Clay as a clay pack on the ulcer and the surrounding tissue, packing daily until the ulcer has gone. 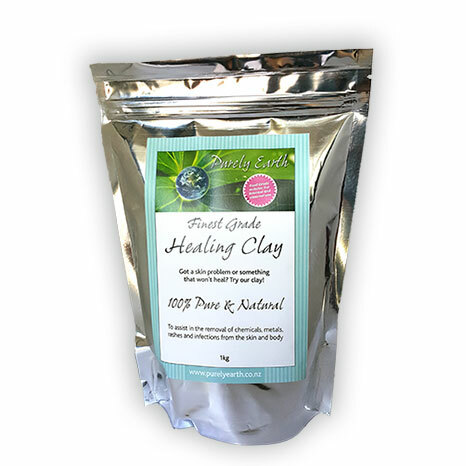 Purely Earth Clay helps to remove wastes from the wound area and to draw healthy new blood into the tissue. In this way, it helps to increase the supply of nutrients and oxygen into the tissue. The clay may need to be applied as 2 x 1 hour packs per day if there is a lot of vein damage around the area. Otherwise apply and leave in place over night. Make the hydrated clay up so that it is 1 part clay powder to 3 parts water for easier removal. For how to make the clay pack Click here. It is advised that a permeable gauze be applied to the site before applying the clay if the ulcer is very deep, although this is not essential. It just makes the clay easier to remove. The clay should be the consistency of stiff putty and applied thickly on to the ulcer and the immediate surrounding tissue. Cover the clay with gauze or plastic food wrap to keep it moist and if practical, put a stretchy tube bandage over the gauze/plastic wrap. You can buy these from most pharmacies. When ready to remove, do so by sponging gently with warm water. Once the clay is removed, the site should be patted dry and a light breathable bandage should be applied. Do this daily until the wound is noticeably shrinking and the wound site is looking consistently clean. When it reaches this point you can leave it open to the air during the day to form a scab. When bandaging, the best bandage to use is a single gauze layer that allows the wound to dry out and form a scab. In our experience, the size of the ulcer will gradually start to shrink and the clay will help to stop infection from setting in during this process. DO NOT use topical creams on the wound. Use a light spray of colloidal silver on the wound after the clay has been removed. Let this dry before applying a dressing. 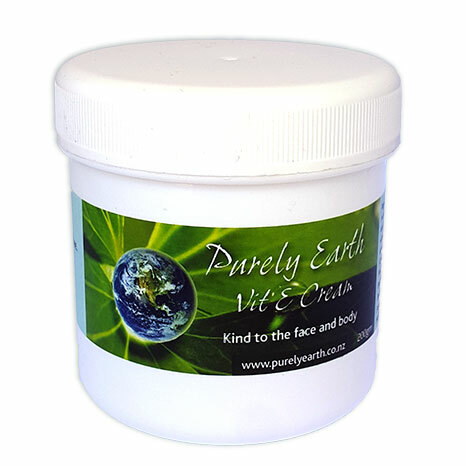 If the surrounding skin becomes dry and scaly, use Purely Earth Vitamin E Cream on it without getting it into the wound site. Supervision via phone and email is available through Sarah’s clinic if you need it. You will need to provide photographs of your ulcer as treatment progresses. The initial consult is $60 with follow up appointments at $35. Please contact The Self Heal Clinic to arrange a time and payment details. 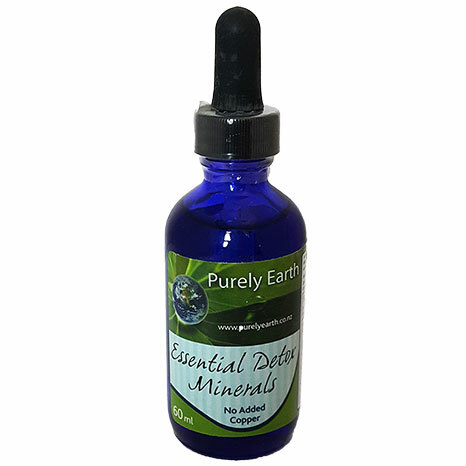 Use Purely Earth Essential Detox Minerals. We have found these to be invaluable in treating ulcers alongside the clay because they provide all of the most commonly deficient minerals required to assit healing and to run the digestive enzymes and liver enzymes. Use 2 ml of the liquid per day for adults and 1 drop per kilo of body weight for children under 10. Put into water or diluted juice. Some people may need extra zinc, an important tissue healing mineral. We recommend zinc picolinate at 1 capsule daily with food. Use a ½ tsp of Kelp Powder daily in or over food. This provides essential iodine. Use Orac Protein and Greens Powder at 1-2 scoops daily mixed into vegetable juice or a smoothie. This is an exceptional super food powder that carries the equivalent of 12 servings of fruit and vegetables in each scoop and is the best way to substantially increase the levels of antioxidants and proteins available to support the healing processes. It is especially important for those who are reliant upon premade meals or those in full time care. It is vegetarian-friendly and is dairy and gluten free. Take a quality B vitamin. Use 1500 – 2000 mg of liposomal Vitamin C daily. Make sure you drink adequate water. Your body needs this to make digestive juices and to clear acidic wastes. Good digestion is essential for the uptake of the nutrients required for healing. In the elderly especially, the digestion tends to be weak. We recommend using Betaine HCL or 1 tsp of apple cider vinegar (ACV) in water before each meal to improve digestion. For those with a history of ulcers, acid reflux or who are using antacid medications, we recommend an appointment with our practitioner Sarah before you try Betaine. Use Dr. Wilson’s Squeaky Clean to ensure the gut flora is optimal and that toxins are carried out of the gut. If the above protocol does not completely resolve the issue for you, we suggest you contact our practitioner Sarah to help you further. Using the above protocol may result in a reduced need for medication you may be using. We advise that appropriate monitoring be put in place. For example; if you have high blood pressure which is being controlled through mediation, get a cheap blood pressure cuff and monitor any changes at home. If your blood pressure drops, ask your doctor to reduce your medication accordingly. If you are on thyroid medication or cholesterol lowering medication, get your blood levels tested regularly.